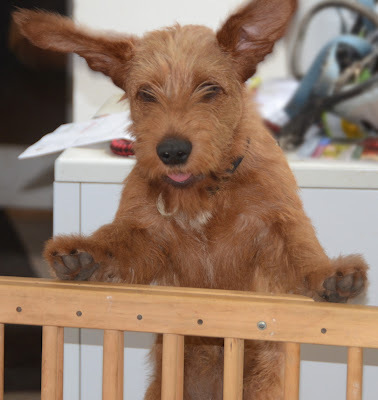 Farr Family Blog part 2: Minnie thinks she can jump the baby gate. Minnie thinks she can jump the baby gate. Have a quiet coffee in Cardiff.